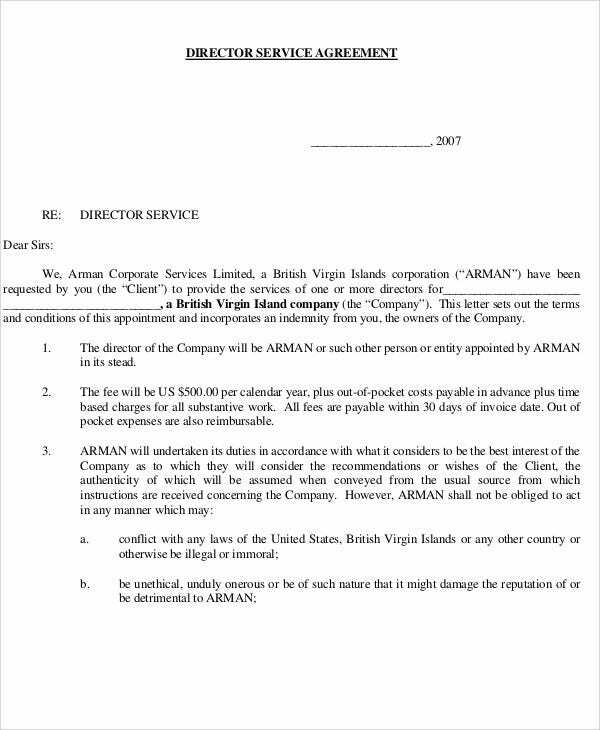 A director signs into a company with terms and conditions that are different from a regular employee. Thus, a certain agreement is required to ensure that the director and the entity fulfills the responsibilities for each other to comply. A director agreement may not be binding and legal in some ways making it different from legal documented agreements like a partnership agreement. There are stipulations, however, on the agreement that would entail particular duties that a newly joined director should follow similar to a non-compete agreement as included in other forms of agreements. The following director agreement templates can be your one stop in knowing how to format an agreement for a new director. 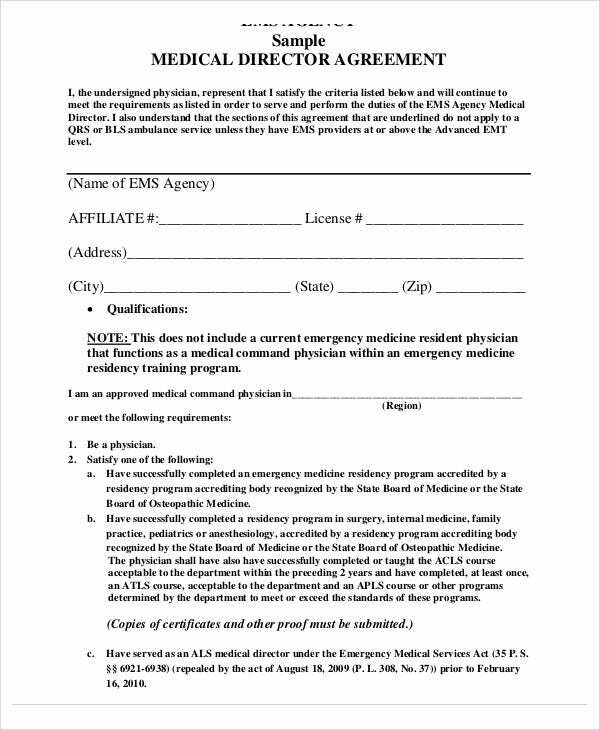 Medical Director Agreement Template – This template shows an example of the director agreement format covering the responsibilities required for a director in the medical profession. 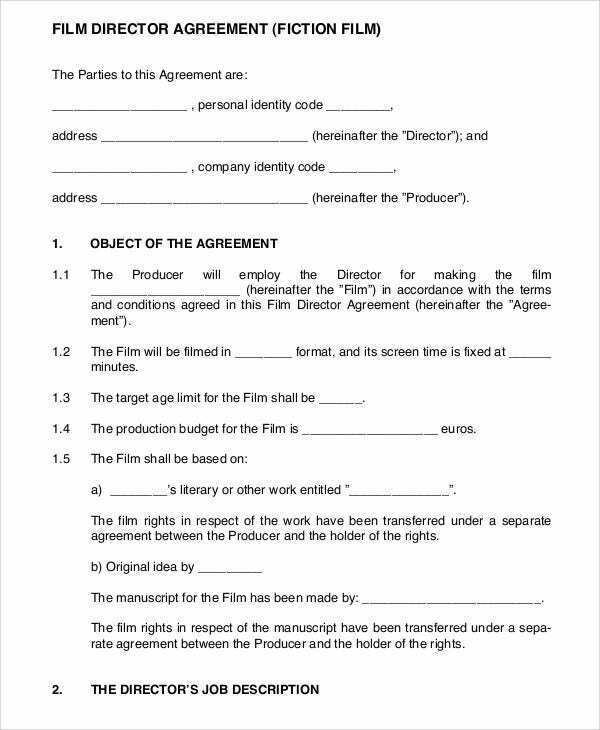 Film Director Agreement Template – This director agreement template is used similarly to the subcontractor agreement templates. What differs is that the project in this discussion pertains to films that require different terms and conditions applicable to the film production. 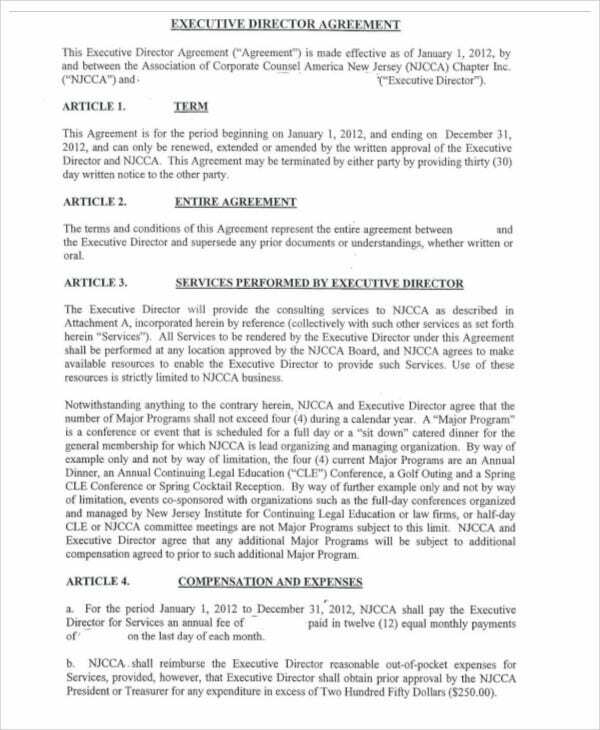 Executive Director Agreement Template – A template of this format has similarities with an employment agreement because of the stipulations with regards to the work conditions and responsibilities an executive director must do. 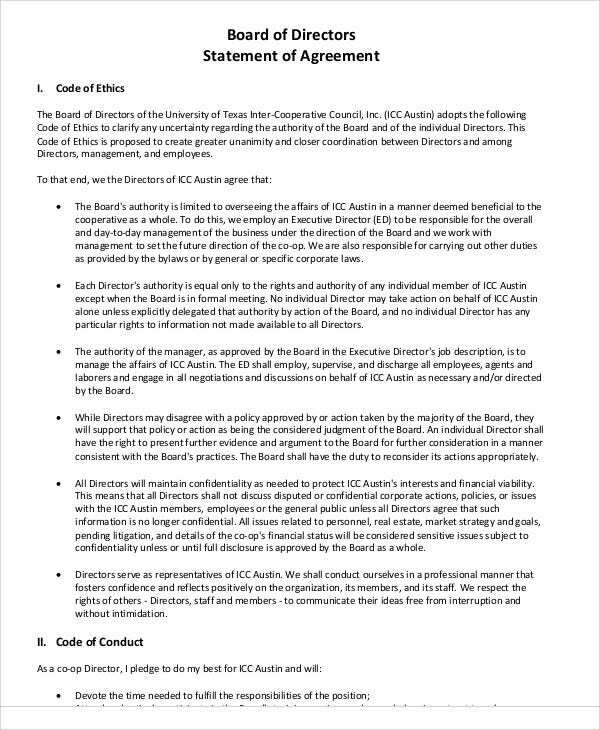 Board of Director Agreement Template – This free agreement template contains specific conditions as to how a director must behave as exemplary individual of the business entity especially in academic and medical institutions. 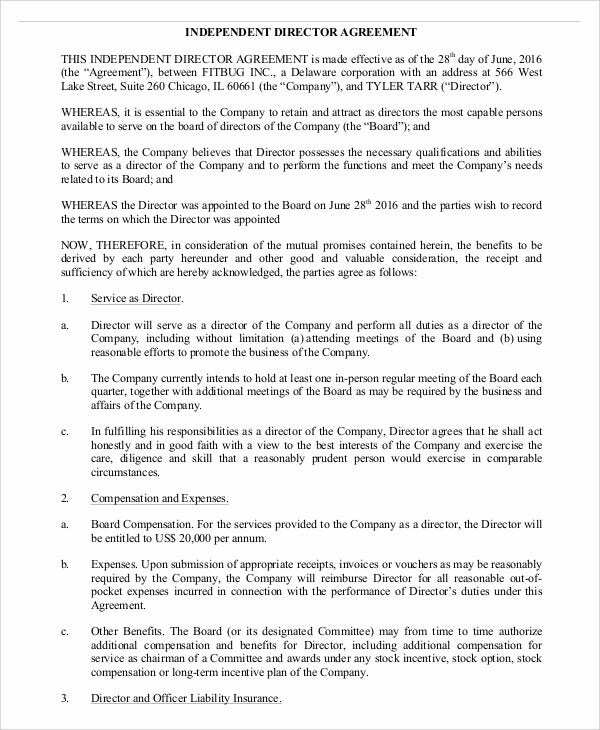 Company Director Agreement Template – A director of a company is issued with this agreement in relation to his employment as well as the expectations defined by both the director and the company. 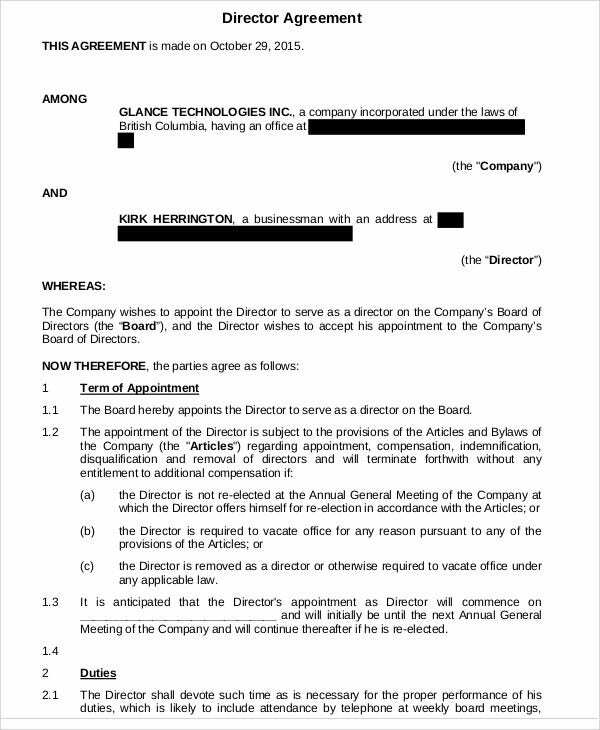 Appointment Terms – There is already a set standard by a business entity as to how a director is appointed into the board. Indicating this requirement will certify that the individual being appointed met the standards. 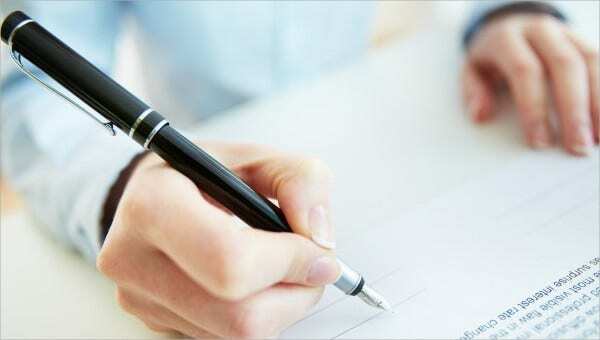 The date and the terms of the appointment is specified. Indemnification Clause – This statement stipulates a director’s inclusion of the rights as given to a director of a business entity. This is governed by the statements of the law of state it is under jurisdiction. Compensation and Benefits – This pertains the allowable share of investment a director can purchase. The distribution of these shares is indicated following the policies of the company when it comes to the stock options. Duties and Responsibilities – In exchange for the benefits allotted, a director must be able to comply with his duties and responsibilities to the entity including non-disclosure of company information. Drafting a director agreement is aligned with both the interests of the entity and the director in order for each party to comply with the expected duties. 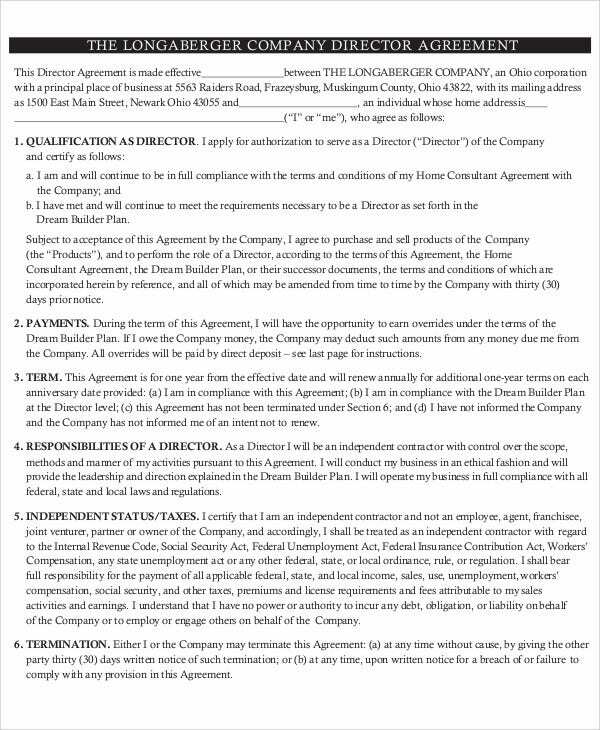 Using these sample director agreement templates as your guide, you can make a director agreement that will satisfy all the needs of the parties.